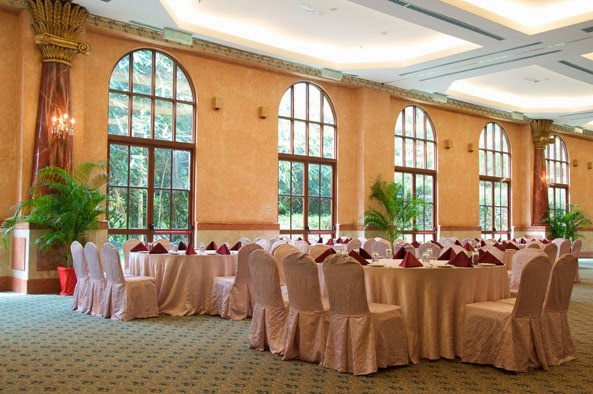 Set in a beautiful lush greenery landscape, with serene and tranquil surrounding, the Berjaya Hills is a decent venue for wedding photography and celebrations. The Colmar Tropicale transports you into a whole new world of French-inspired architecture amidst the serenity and coolness of the Hills. With its vibrantly painted buildings and colorful roofs, cobblestone pathways, and facades with various designs the resort is captivating in a different way. 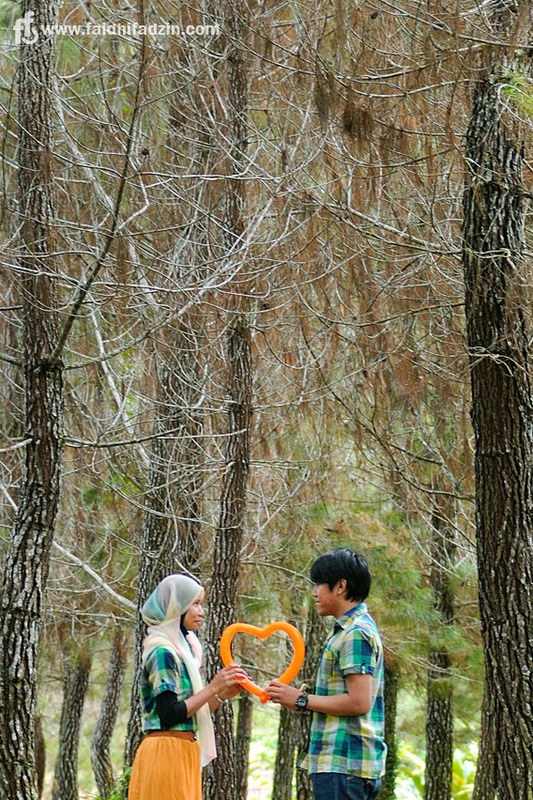 This location exerts an imaginary realm for a fairytale wedding which is one of a kind in Malaysia. Be it a spellbinding outdoor ceremony or a mesmerizing grand dinner at their pillarless ballroom, it will be a special occasion. 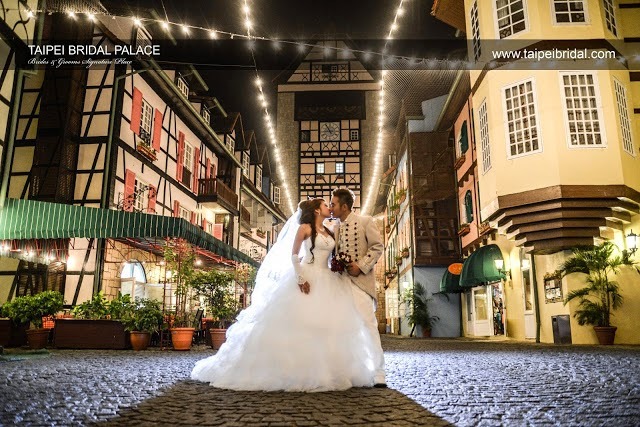 Colmar Tropicale, Berjaya Hills is also a great background for your wedding photography with its quaint and picturesque architecture. There are a few photoshoot spots such as the pedestrian street with its unique buildings (hotel, restaurants, souvenir shops...), the pond at the entrance with swans and koi fish, Japanese Village and Botanical Garden. 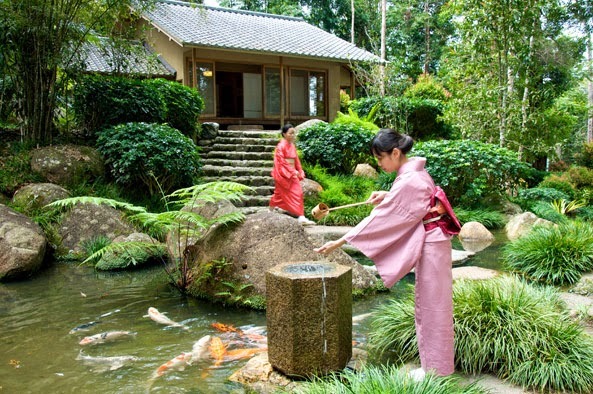 The Japanese Village is nice but the Botanical Garden is not very well maintained, both is located some distance away where transport is provided by the resort. Requests on all wedding photography and filming or videotaping at the resort can be made through the PR & Communications Department at 09–221 3666. 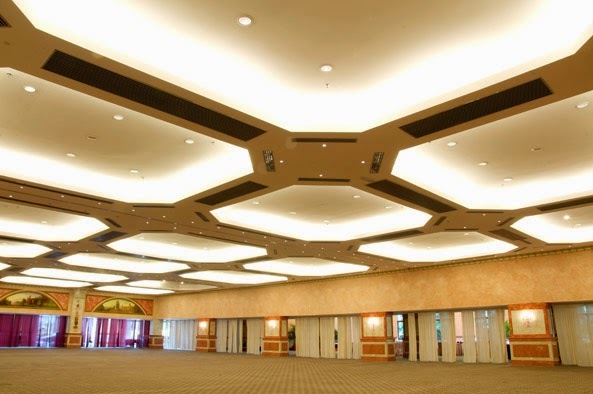 All requests on the shooting at Colmar Tropicale, Berjaya Hills are subject to approval by the Management with a fee. 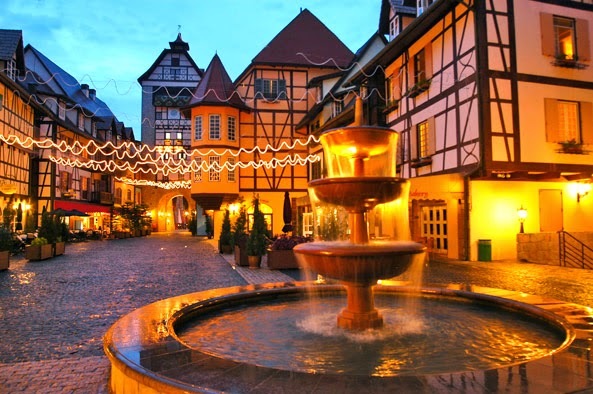 Colmar Tropicale is a French-themed Resort located in Bukit Tinggi, Pahang. The buildings are supposed to be an imitation of the buildings in the old town of Colmar, France which is the most beautiful city in Europe. 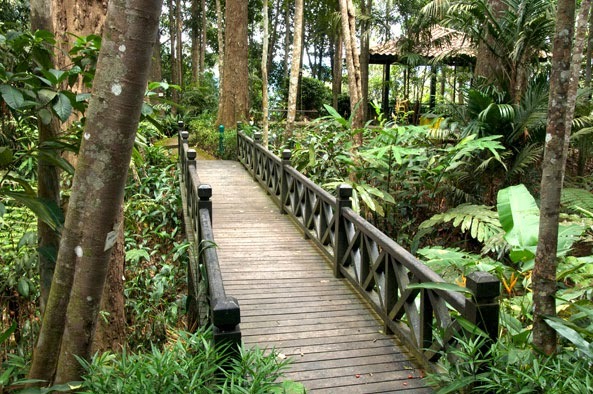 It takes slightly more than an hour to drive to this place from Kuala Lumpur. Despite its location on a hill, it can be hot during the afternoons. You'll only get to enjoy the coolness towards the late evening. This resort is very different from others in Malaysia. The vibrantly painted buildings with colorful roofs, cobblestone pathway and and multi-designed facades are indeed a feast to the eyes. Basically, the resort consists of one stretch of pedestrian street with multi-colored buildings lined up on both sides of it. These buildings house the hotel reception, souvenir shops, restaurants, the hotel rooms and suites. If you drive there, you'll be ushered to the basement car park which is located behind the right row of buildings as vehicles are not allowed into the pedestrian street. These buildings are attractive at first glance but if you'd care to look at the details, you'll find the finishing on some buildings a little crude and "artificial". 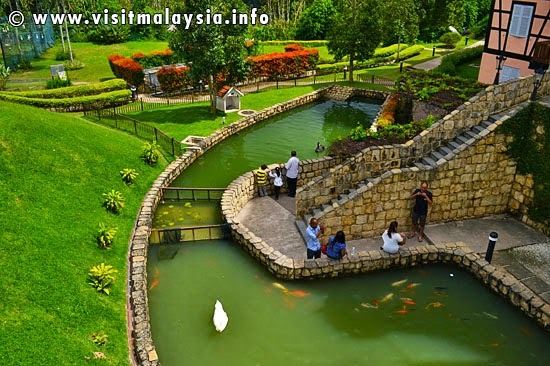 An attraction around the entrance area is a pond with swans and koi fish. There are a number of activities you can do around the resort. 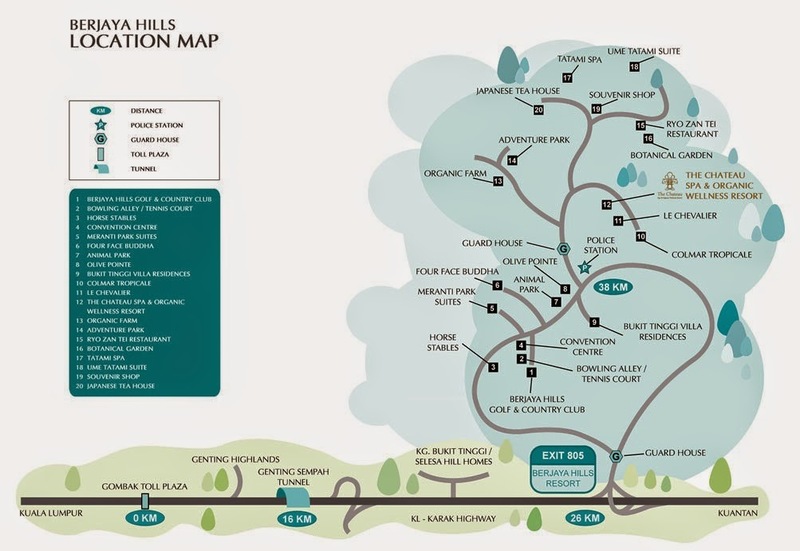 Transport is provided if you want to go to the Japanese Village and Botanical Garden. The Japanese Village is quite a nice place. The Botanical Garden is just nearby. The Botanical Garden is not very well maintained.